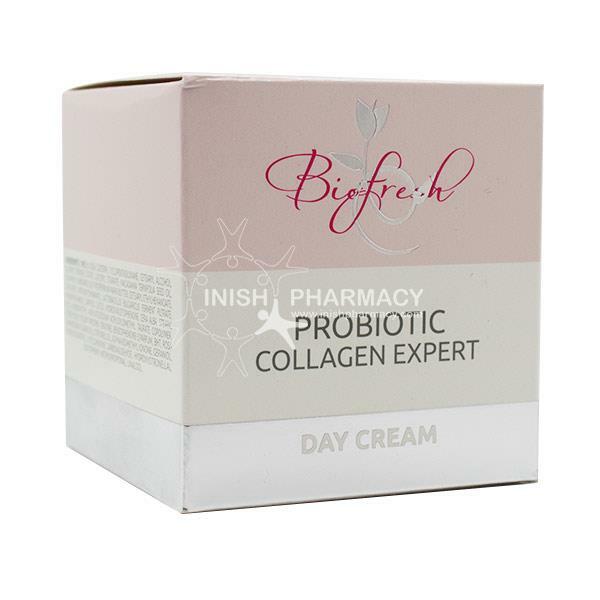 The Probiotic Day Cream Collagen Expert has been formulated to help reduce and prevent the appearance of fine lines and wrinkles. The active ingredients include Rose oil, Bulgarian Yoghurt and UV filter. These ingredients work together to protect your skin from UV rays and to also leave your skin feeling and looking renewed, hydrated and more youthful looking. This Day Cream is also suitable as a makeup base.